Now that free agency has calmed down it’s time to get back to our series of Bruins grades! 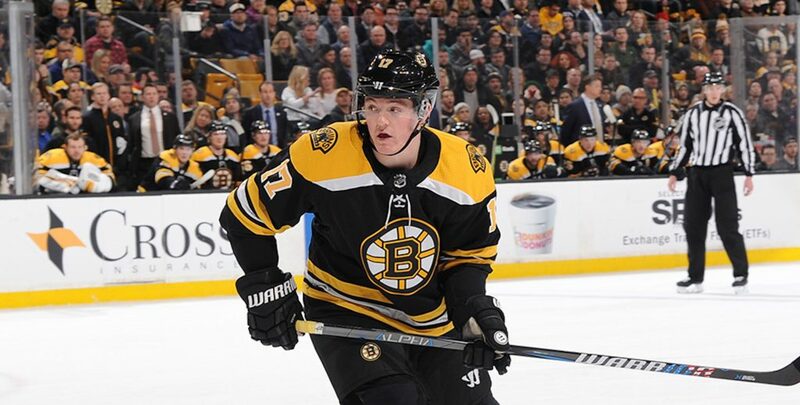 Today we’ll be taking a look at forwards Ryan Donato and David Backes, two players who had limited time with the team but made the most of it. Stop me if you’ve heard this one before, but the Bruins 2017-2018 success was largely due to the breakout efforts of several young players. Ryan Donato is one of those players. Donato made a lot of noise at the 2018 Winter Olympics in PyeongChang. He was arguably the only reason the 2018 U.S. men’s team was even able to be relatively competitive given the absence of the NHL. The 21-year-old joined the Bruins in March in hopes of being another key depth piece for the playoff run. He made a lot of noise right out of the gate, scoring two goals and four points in his first two games. Unfortunately for the team, he cooled off shortly after and wasn’t able to get his mojo back in time for the playoffs. He was also one of many depth players on the Bruins to seemingly fall off the face of the Earth once the playoffs rolled around. He has a lot of talent, but he hasn’t pulled it all together quite yet. The Bruins are going to need a strong third line center if they want to start making deeper playoff runs. Donato isn’t quite there yet, but he has the potential to be a superstar. To put it very simply, 2017-2018 was an extremely weird year for David Backes. He got off to a very poor start in October and then was forced to miss two months after having part of his colon removed… seriously. What’s amazing however is that he was able to come back and piece together a quite impressive season. He played 17 fewer games in 2017-2018 than he did in 2016-2017, but his numbers were almost identical. Backes struggled in the playoffs, but that shouldn’t define the very underrated season that he pulled out. He needs to get past his playoff jitters and will need to be a little more consistent, but Backes is a very serviceable depth player.